The announcement “marks the end of the solely combustion engine-powered car,” the company’s CEO said. VOLVO HAS SAID it plans to phase out production of petrol-only cars in 2019, with all new models to be either electric or hybrid starting from that date. Volvo, owned by China’s Geely, said it plans to launch five fully electric models between 2019 and 2021, three under its own brand and two under the Polestar brand, as well as a range of hybrid models. “This announcement marks the end of the solely combustion engine-powered car,” Volvo president and chief executive Hakan Samuelsson said. The Swedish manufacturer will continue to manufacture existing petrol or diesel-only models launched before 2019, but they will gradually be replaced by hybrid and fully electric cars, a Volvo spokesman said. In an interview with the German daily Frankfurter Allgemeine Zeitung (FAZ) in May, Samuelsson had said he did not want to develop a new generation of diesel engines because of the high costs of stricter regulations. The Swedish group aims to sell one million electric cars by 2025, by which date it hopes its manufacturing operations will be “climate neutral”. Email “Going climate neutral: Volvo to phase out traditional engines ”. 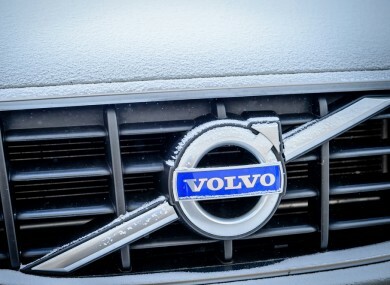 Feedback on “Going climate neutral: Volvo to phase out traditional engines ”.